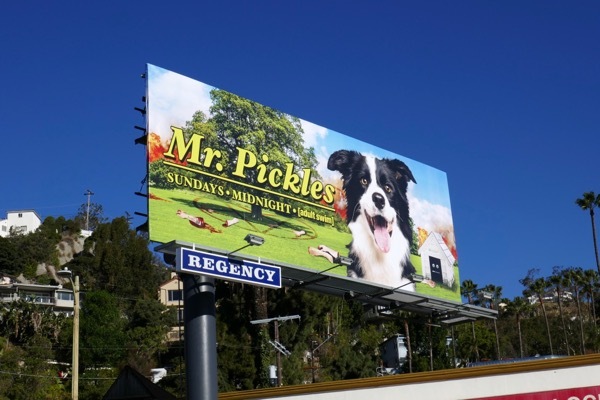 When you first spy this billboard for Mr. Pickles you first think what a sweet dog, he's like a modern day 'Lassie'. Then your eye strays to the dismembered human body parts in the background and you know this isn't necessarily man's best friend, no matter how cute he looks. The demonic Border Collie returns in animated form this February to terrorise the unsuspecting residents of Old Town in all-new episodes. 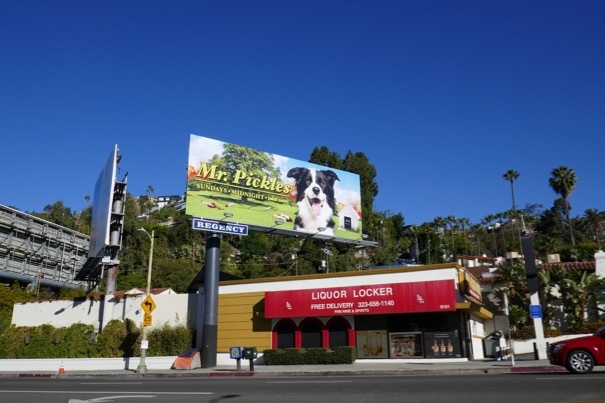 This mostly adorable season three billboard was snapped along West Hollywood's Sunset Boulevard on February 19, 2018. 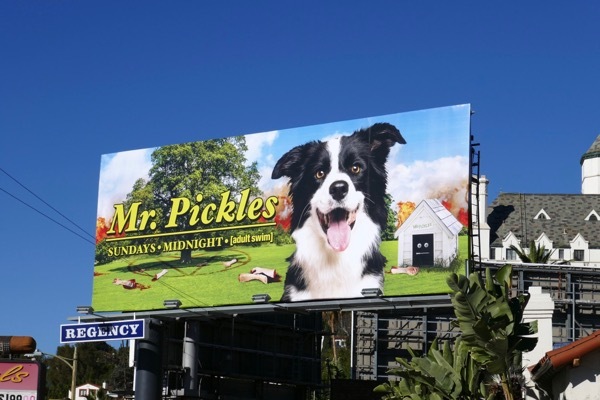 Fans of the Adult Swim animated series can also enjoy these season two billboards for Mr. Pickles from 2016, plus for slightly friendlier canines be sure to check out these movie billboards for A Dog's Purpose and these film billboards for The Secret Life of Pets. 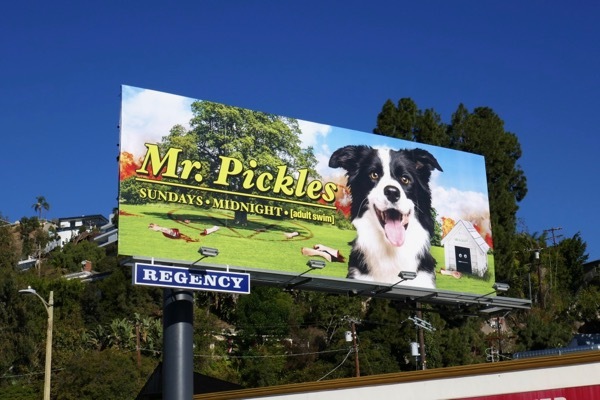 Let's see if Mr. Pickles will be a good boy this season, or whether his behaviour will result in the usual carnage. What do you think?